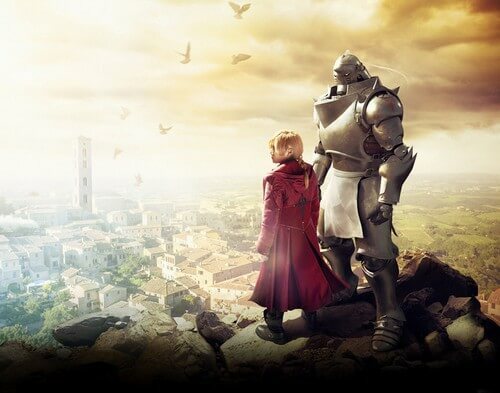 Home » Anime » Fullmetal Alchemist 2017 Review: When Alchemy Comes To Real Life! Fullmetal Alchemist is no doubt the top 10 most favorite anime of all time. According to the top 100 anime of all-time list polled by The Anime Man, Fullmetal Alchemist Brotherhood ranked number 1. This clearly shows us how popular this manga/anime series is in international level. And of course, filmmakers will not pass this opportunity to make a Fullmetal Alchemist live action movie, which already released on October 25, 2017. 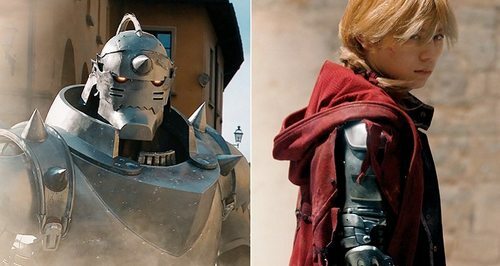 We already know that Fullmetal Alchemist Brotherhood is awesome, but does this Fullmetal Alchemist 2017 live action keep up with our expectation? Let’s find out! 2. How good is Fullmetal Alchemist 2017? This question may sound weird but we have to admit it: not everyone knows Fullmetal Alchemist manga or its successful anime Fullmetal Alchemist Brotherhood. But people who interested in manga and anime probably know this famous manga/anime series by now. To recap, Fullmetal Alchemist tells the story of a world where alchemy is highly respected. Alchemy in this world is somewhat like… magic? The alchemists in this world can do almost everything from fixing radios, building houses or even massive estates, to destroying everything in their path with just one finger. But as powerful as it sounds, there is a twist. Alchemy always follows the Principle of Equivalent Exchange, which means alchemy users can only create things from a certain mass. Or to be much easier to understand, in order to create something, a certain things with equal value must be lost. Back to the alchemists, these alchemy users are often considered highly, especially those who have the title of State Alchemist. These State Alchemists are recognized by the government and they also work directly for government. In return, they gain quite a lot of benefits so that they can do their job like researching. So now that we have taken a brief look at the world of Fullmetal Alchemist, it’s time to get into the main plot in the original manga/anime series. When a person recognized as State Alchemist, he/she will gain a title based on his/her alchemy specialization. In the case of our protagonist – Edward Elric, he is called as Fullmetal Alchemist. But why’s that? Edward Elric and his younger brother, Alphonse Elric (or Al for short) learned about alchemy since they were children. When their mother passed away, these 2 brothers did an “arrogant” alchemy project aimed to resurrect their mother. Despite their hope and effort, they failed to resurrect their mother in cost a lot more than what they can imagine: Edward lost his left leg and Al literally lost his entire body. In desperation, Edward sacrificed his right arm to imbue his brother’s soul into an armor. Since then, the two brothers tried to search for a way to bring Al’s true body back, while Edward working for the government as State Alchemist. And since Edward is mostly known for his use of metal right arm and left leg, he was entitled as the Fullmetal Alchemist. 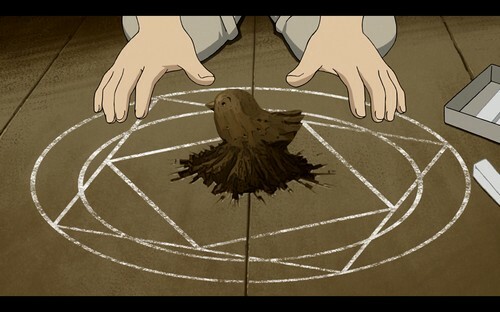 Of course, this is only the surface of Fullmetal Alchemist’s story. But it is better if we find out by ourselves, isn’t it? But that’s the original manga/anime story, what we want to know is whether this Fullmetal Alchemist 2017 is good or not. So with no further ado, let’s get into our main part! Fullmetal Alchemist 2017 is a live action movie based on the original series Fullmetal Alchemist by Hiromu Arakawa. The film lasts about 133 minutes and it was just on air recently on October 25, 2017. Fumihiko Sori is the director for the film and interesting enough, all of the casts are Japanese despite the film being shot in Tuscany, Italy. Basically, Fullmetal Alchemist 2017 adapts the first arc of the original storyline, yet with several content cut (for example, the character Scar isn’t featured in the movie). 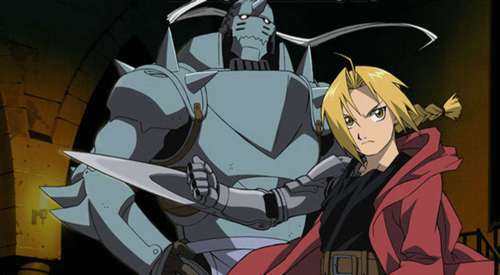 The story of the Elric Brothers still remains the same: Edward (starred by Ryosuke Yamada) and Alphones Elric (voiced by Atom Mizuishi) practiced alchemy in hope to bring their deceased mother back to life. But again, it didn’t go as good as they expect, Edward lost his left leg and Al lost his entire body. Edward still works for the government as State Alchemist with Al, but their main goal is to search for a certain artifact called Philosopher Stone. This Philosopher Stone is supposed to be an ultimate medium which can replace all kinds of material for alchemy. The Elric Brothers believe that with this artifact, they can finally bring Al’s true body back. Unfortunately, they haven’t made any real progress. Throughout the movie, we will get to see the Elric Brothers and their endeavor to find Philosopher Stone. At the same time, more dark secrets about this world will start to appear, especially the government itself and the 3 mysterious Homunculi beings: Lust (by Yasuko Matsuyuki), Envy (by Kanata Hongo), and Gluttony (by Shinji Uchiyama), who killed many people, yet with unknown motive. 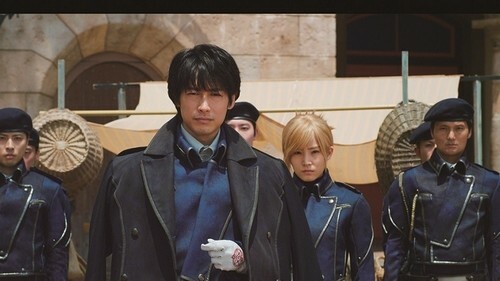 Cast: Ryosuke Yamada (as Edward Elric), Atom Mizuishi (as Alphones Elric), Tsubasa Honda (as Winry Rockbell), Dean Fujioka (as Roy Mustang), Misako Renbutsu (as Riza Hawkeye), Kanata Hongo (as Envy), Jun Kunimura (as Tim Marcoh), Kenjirou Ishimaru (as Cornello), Yo Oizumi (Shou Tucker), Ryuta Sato (as Maes Hughes), Natsuki Harada (as Gracia Hughes), Shinji Uchiyama (as Gluttony), Fumiyo Kohinata (as Hakuro), Yasuko Matsuyuki (as Lust). First of all, we have to agree that the areas where the movie shot are extremely gorgeous and charming. Since Fullmetal Alchemist based on a steampunk/Western world, the Tuscany region of Italy really suits the original manga/anime setting. Next, the CGI for various special effects from alchemy and especially Al’s armor body is well done. 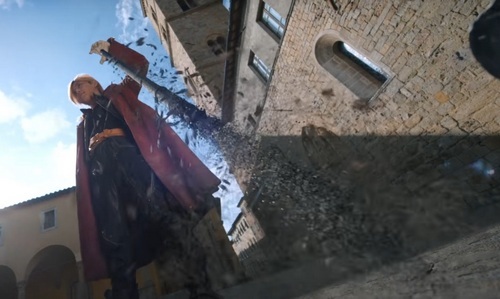 It is quite interesting to see the alchemy “magic” in action, for example Edward’s metal transmutation for weapons, flying rubbles from buildings, or rock spikes coming out from the ground. Seeing Al in action is also quite interesting, though it may feel weird at first. But overall, the visual in Fullmetal Alchemist 2017 is definitely well made and there is not much to complain. Overall, the casts did a decent job in depicting the characters from the original series. The Elric Brothers look believable and they are able to pull out certain emotional event. The most emotional scene between The Elric Brothers is probably when Al doubts himself to be a true human with true origins, but rather, a conscious machine made by Edward. Eventually, the two brothers relive their tension via a fight. Yet, many people seem not to be convinced by this “act”. On the other hand, those who are not used to Japanese acting may probably feel “cringy” for… considerable amount of times. If you are not familiar with Japanese manga/anime live-action adaptation, the Japanese actors and actresses often try to be as close to the anime acting as possible. This means audiences can have… cartoonish sense about this live-action movie, which is not exactly pleasant for certain audience bases. Fullmetal Alchemist 2017 also has this cartoonish sense, especially with the trio: Edward, Alphonse Elric, and Winry Rockbell (starred by Tsubasa Honda) – Edward and Al’s childhood friend and sidekick. But as long as you are fine with this “anime-ish” live-acting, this won’t be much of a nuisance. Besides the “cartoonish” sense we mentioned above (which may not necessary be a flaw for some people), Fullmetal Alchemist 2017’s biggest flaw lies within its own plot, just like most other manga/anime live-action adaptation. The problem is: Fullmetal Alchemist 2017 tried to compress too many important plots at once within a 133-minute movie. This is even more problematic when the original Fullmetal Alchemist has a lot of secrets and plot twists which can’t simply be summed up within short amount of time. Though we understand that comprising such a huge plot line would be extremely difficult (as they already tried to cut certain content), we can’t deny that Fullmetal Alchemist 2017 greatly failed in this aspect. Those who already watch or read the original Fullmetal Alchemist series will already understand the featured characters and what’s going on in the movie. But newcomers will find it too messy and complicated to understand the story. Some Fullmetal Alchemist fans even express that they can’t really comprehend the movie’s story due to its messy content, including several content cut. As the results, Fullmetal Alchemist 2017 has lost lots of its score from Fullmetal Alchemist fans and common audiences due to its cramped storyline. Fullmetal Alchemist 2017 is a pretty ambitious project to bring such a great manga/anime series to real life. It has shown efforts in bringing sweet locations and special visual effects in order to make the movie feel as close to the original as possible. The casts, although not really did an outstanding job, managed to capture their respective characters. However, the biggest thing pulled Fullmetal Alchemist 2017 down is the plotline. Its cramped storyline makes it difficult for common audiences and even the long-time fans to understand what’s happening. Therefore, Fullmetal Alchemist 2017 is only an average/below-average movie at best. It may be a decent catch for Fullmetal Alchemist fans, but it is not really a recommendable movie for other viewers. Despite that, who knows? We may see a Fullmetal Alchemist live action sequel (which is highly so) in the future. But for now, thank you and stay tune for more news in the future!